Lebanon sidestepped the global turmoil and is busy building on its newfound prosperity. On any morning in downtown Beirut—along the sunny Corniche or in the cafes in the reconstructed Place d’Etoile near Parliament Square—locals sit over their coffee and newspapers. It is a safe bet they are reading pretty much the same as they have since they went to the polls on June 7: the latest twist in their politicians’ attempts to forge a new government from the complex ethnic, religious and political factions that all call this country home. 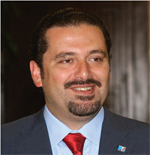 On September 10 prime minister designate Saad Hariri, son of the murdered former premier Rafik Hariri and head of the main pro-Western political faction, the March 14 Alliance, quit after an exhausting 73 days of negotiations with minority grouping March 8 Alliance, headed by Hezbollah. Nobody was surprised to see him re-appointed as PM-designate by president Michel Suleiman one week later and to recommence negotiations. As Global Finance went to press, hopes were running high that a government would be created through the so-called 15-10-5 formula, whereby the cabinet will comprise 15 members of March 14, 10 of March 8 and five non-aligned individuals chosen by the president. Encouraging signs include the fact that in recognition of March 14’s clear victory in the election, Hezbollah has abandoned its claim to a veto over government decisions and that ties between the main sponsors of March 14 and March 8—Saudi Arabia and Syria, respectively—are improving. On September 23, in a sign of ever-warming relations, Syria’s president Bashar al-Assad attended the opening of the King Abdullah University of Science and Technology, a pet project of the Saudi royal family. Both have spoken of their desire to see Lebanon have a functioning and effective government. In truth, Lebanon has been doing pretty well even in its absence. Beirut and most of Lebanon’s towns and cities—especially along the coast—are buzzing. Analysts say foreign investment flows this year are expected to top the record inflows of 2008 when, according to Unctad (the United Nations Conference on Trade and Development), FDI flows rose 32% to $3.6 billion. However, much economic activity has been generated domestically, including in the real estate sector, which accounts for 45%-50% of investment in Lebanon. Construction permits are up 12.5% in the first seven months of 2009. Venus Real Estate Development recently announced a new $500 million upscale residential project—Venus Towers—in the exclusive marina district that will see 62 luxury apartments built over the next four years. Meanwhile, the reconstruction of downtown Beirut—mostly undertaken by Solidere, Rafik Hariri’s old company, which devised a master plan to rebuild the city after the extensive damage wrought in the civil war of the 1970s and 1980s—continues apace. The traditional old markets, or souks, have been totally renovated at a cost of $300 million and will open soon, providing 1.6 million square feet of prime urban space and 400 new shops and restaurants. Tourism, meanwhile, has exceeded all expectations as Europeans joined Gulf Arabs in exploring the country’s cosmopolitan cities, beautiful coastline and historic interior. According to the latest figures, over the first eight months visitor numbers were up 45%, reaching 1.3 million—significant, given that tourism contributes as much as a third to GDP, when multiplier effects are counted. As Beirut booms, many expatriates have returned as opportunities abroad have dwindled with the global recession. “These are highly qualified and well-connected people, accustomed to being successful and prosperous; particularly with no social security, they are not just going to sit around,” argues Nadim Shehadi, a Lebanon specialist at the respected London-based think tank, Chatham House. They have not been holding back on consumption, either. Sales of cars and other consumer durables have been rising alongside the real estate boom as the growing realization that political stability has returned sinks in among Lebanon’s better-heeled. All this activity will help push GDP growth close to last year’s 9%, with 7% now seen as likely by the International Monetary Fund—well above its initial estimate of 3% and comfortably higher than the projected Middle East average growth rate of 2%. Inflation for 2009 is forecast at 2.5%, while falling interest rates are expected to reduce the debt-to-GDP ratio from 162% to 151%. The good news is expected to continue into 2010, with the IMF projecting GDP will grow at 4%, with inflation at 4%, below the projected regional average of 6.6%. “Predictions of a return to civil war were way wide of the mark. Even most Hezbollah supporters are happy with the new stability. In a nutshell, everything under Lebanese control is being well-managed,” continues Shehadi. He and others say the only threat to the new prosperity is unwanted intervention from outside or a further increase in the continued instability on Lebanon’s southern border. “The turning point for the economy was the Doha agreement reached in May 2008 and not the full-fledged global banking crisis later in the year. Since political stability was restored and security conditions improved, the economy showed its potential,” says Nassib Ghobril, chief economist at the Byblos Bank Group in Beirut, who says confidence was buoyed further by the peaceful June 2009 election and the victory of the pro-Western March 14 coalition. The new prosperity has been underpinned by a stable and well-regulated banking system that was left unaffected by the global financial crisis thanks to the rigorous approach to regulation followed by the governor of the Banque du Liban, Riad Salameh. Lebanese banks have long been prevented from making large-scale investments in derivatives, CDOs or any of the other instruments that for so many foreign banks turned into toxic assets. “They’re really in pretty good shape. Although some might benefit from additional capitalization, asset quality has held up well. The only question is over the extent of the government securities on their books, but then again, despite all it’s been through, Lebanon has never defaulted,” says Stathis Kyriakides, Lebanon analyst for Moody’s. In April the ratings agency upgraded Lebanon’s local and foreign currency bond ratings from B3 to B2 in recognition of the central bank’s “large cushion” of foreign exchange reserves and its effectiveness as a financial regulator. The central bank has also quietly been encouraging consolidation among the country’s 52 banks, which most consider is too many for an economy of this size, even though in reality the market is dominated by 10 banks. The view is that the creation of a smaller number of larger banks—either through voluntary merger or takeover—would be beneficial for the efficiency and international competitiveness of the banking sector. Given the durability they have displayed during the global crisis, some of the small and medium-size entities could prove attractive for overseas banks wanting to build up their regional profiles. The emphasis on prudence coupled with the highly traditionalist approach to banking—Lebanese bankers always stress they know their clients and their clients’ business—has certainly made the sector attractive for depositors. Aggregate bank deposits are now $105 billion, far in excess of Lebanon’s $26 billion GDP. This is a 12% rise since the end of 2008 and represents a 17% rise year-on-year. Much of this is believed to have come over from Dubai—reflecting its recent fall from grace as a center for investment—but also from expatriate remittances. “Gross remittance inflows last year amounted to $6 billion, an estimated 20% of GDP, making the country one of the largest recipients of remittances as a share of GDP in the world,” says Mohammed Hariri, chairman of BankMed. Inflows helped Lebanon to a record balance-of-payments surplus of $3.35 billion over the first seven months of 2009, well up on the $1.61 billion registered over the same period last year. Gross foreign currency reserves reached a record $22 billion in July. “Lebanon’s banking system has proven its mettle as a safe haven during the recent global financial crisis…I believe these flows are not ‘capital flight’ but are largely here to stay because of the enhanced solidity of our financial system and economic fundamentals,” argues Saad Azhari, head of BLOM Bank. 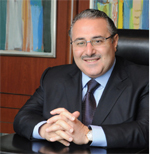 His bank, one of Lebanon’s largest, with operations in 12 countries, provides a fine example of the new prowess of the Lebanese financial sector. Over the past year alone it has established an investment bank in Saudi Arabia, a corporate and private bank in Qatar, a brokerage company in Syria and two insurance companies in Egypt. Bank of Beirut and BankMed, two other large banks, have also gone from strength to strength in the past year. The former has also prioritized international business, which it reckons will soon generate half its income against the current 40%; it has operations in nine countries and is looking to operate in more. “Our expansion moves come within Bank of Beirut’s strategy of international expansion…we are always in search of new markets as the bank continues to expand, using the philosophy that says, ‘Be there for your customers, wherever they are,’ especially the Lebanese ones,” says Salim Sfeir, the bank’s chairman. For its part, BankMed, which won the 2009 Global Finance Best Investment Bank in Lebanon Award, with almost $10 billion in assets (equal to around 10% of the national banking system), has prioritized both retail and investment banking and currently serves some 90% of Lebanon’s top companies. “We…emerged as market leader in treasury and investment products [while] our retail loan portfolio has recorded strong growth as new creative products are introduced,” says Mohammed Hariri, adding that he expects expansion to continue, possibly through merger and acquisition. Against a generally promising financial and economic background, what should be the priorities of the new government—once it finally takes shape, and presumably with Saad Hariri as premier? The first challenge will be to maintain Lebanon’s political stability. “Any deterioration in political and/or security conditions would trigger a slowdown in economic activity, affect tourism, dent FDI and negatively impact sentiment and confidence,” warns Byblos Bank’s Ghobril. However, the government will also need to take immediate steps to build upon Lebanon’s new confidence by pressing ahead with much-needed reforms. First among these is restructuring the loss-making state-owned electricity utility Electricité du Liban (EDL), which after years of under-investment and failure to repair damage inflicted during conflict has emerged as the leading drain on the public purse. Government spending on the entity increased by L£307 billion ($205 million) over the first eight months of 2009, accounting for three-quarters of the L£407 billion rise in the budget deficit over this period. Last year, state transfers to the company accounted for a full 55% of the budget deficit, and caretaker finance minister Mohammed Shatah says every Lebanese person is now paying $150 to keep EDL afloat. Unsurprisingly, the company has become a major cause of Lebanon’s rising foreign debt, expected to reach $51 billion by end-2009. 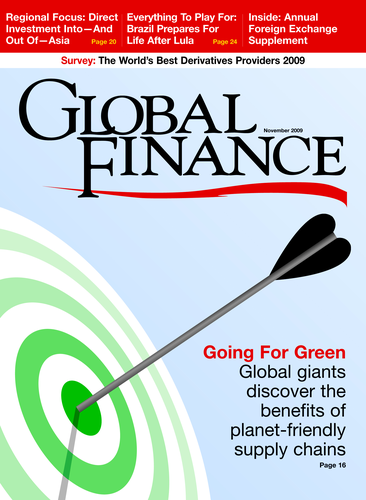 BankMed’s Mohammed Hariri argues that public investment needs to be prioritized. “The new government will need to implement action plans aimed at stimulating the economy and creating jobs by hastening the implementation of public investment projects, providing incentives to private investment,” he says. Other priorities will include reforming the pension system—another major drain on the public purse—and pressing ahead with the privatization of Lebanon’s two mobile phone companies, Alfa and MTC Touch, a move that has already been postponed on a number of occasions. The government could secure some $7 billion from this sale, even if it opts to retain part-ownership as the previous government indicated it would. Hani Sabra, analyst with the Washington-based Eurasia Group, believes that despite this long to-do list, ineffective government remains probable. “The main function of the unity government will be to act as a guarantee against a return to conflict,” he says, pointing out that the two sides still have a lot of mutual antipathy. Ghobril agrees: “Everyone knows what needs to be done, but the difficulty in forming a cabinet suggests it will face major difficulties in taking the necessary decisions. The bottom line is you need political will and consensus to implement structural reforms, but this is easier said than done,” he says. In the meantime, Lebanon’s business community will be getting on with what it does best: making money and ignoring the country’s complex domestic shenanigans as best it can.